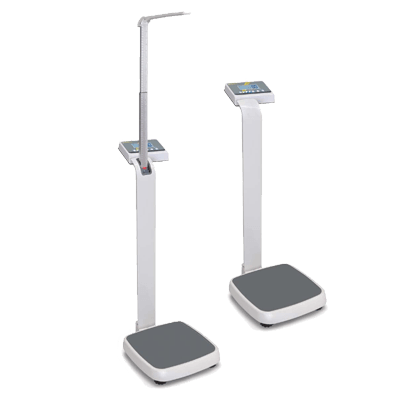 Product information "Stand scale K-MPE"
The verifiable personal scale K-MPE is the premium model in the medical column scales and is suitable for professional use in hospitals and medical practices. The column scale has a built-in stand and is often referred as a stand scale. 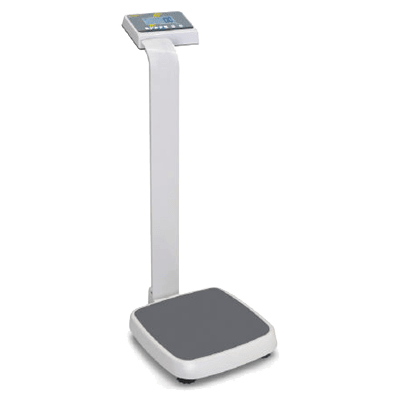 The extra-large weighing range of 250 kg has an accuracy of 100 g. With one touch, the weight can be displayed accurately for about 5 seconds, even at 10 g (not legal for trade). The indicator has an optional 1 meter high stand. This column scale is available with additional integrated length measuring rod (range 97-200 cm) for quick height measurement. 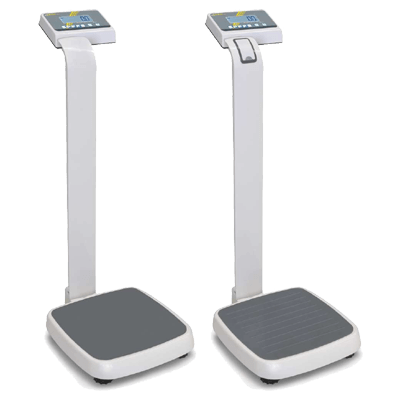 The ergonomic indicator has large buttons and a high-contrast LCD display for easy entry and reading of patient data, such as the size for the calculation of BMI. The large platform with non-slip plastic surface ensures optimal safety, especially in elderly patients. 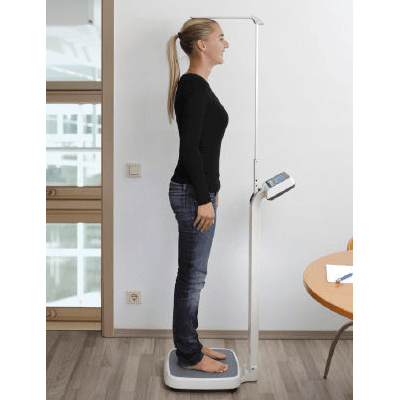 The dynamic function allows accurate and stable weight values ​​even with restless patients. The Data Hold function causes the "freeze" of the stable weight value for 10 seconds, so you can read the weight at rest. The mother-child function allows to tare the mother's weight,which is weighed together with the child, where only the child's weight is displayed. 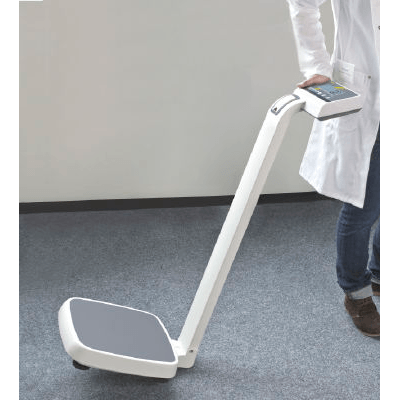 The scale is powered by a rechargeable battery with which can be weighed up to 100 hours. The stand scale K-MPE is legal for trade according to the international OIML verification class III and comply with the Medical Device Directive, and EC Directive 93/42/EEC. The scale can be delivered legal for trade. The validity of verification in a hospital is generally four years, in a doctor's office or a nursing home, the verification of this scale is open-ended. Related links to "Stand scale K-MPE"